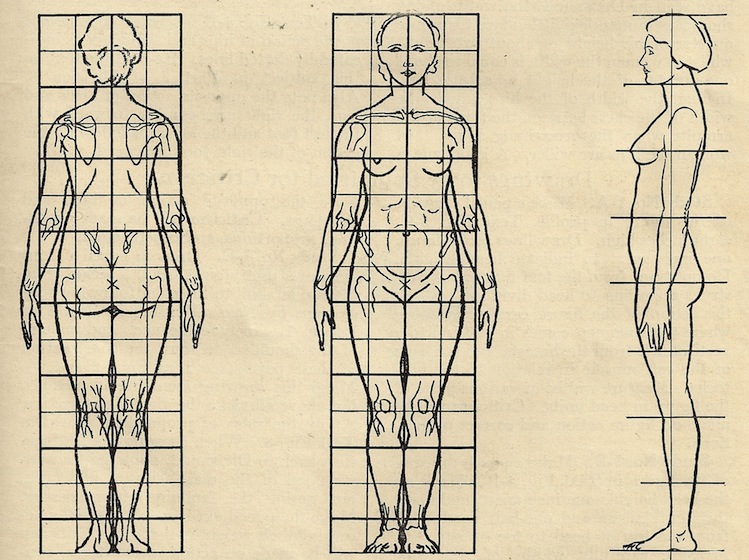 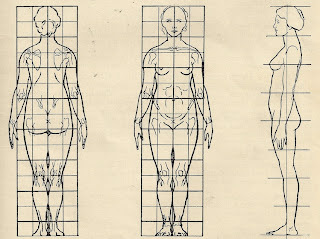 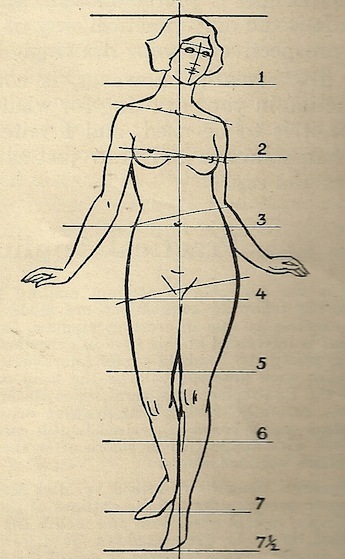 These illustrations of female proportions are from an article by Adrian Brewer in a 1927 art instruction book titled Modern Illustrating Including Cartooning published by Federal Schools, Inc. The Federal Schools later became Art Instruction Schools (The Draw Me school of match book cover fame), which now offers course online. 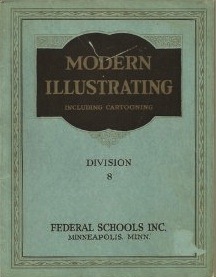 Modern Illustrating Including Cartooning; Division 2. 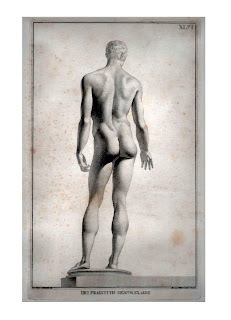 Antonio Francesco Gori (1691 – 1757) started work on the Museum Florentinum, a comprehensive visual record of the Medici and other collections in Florence of antiquities of all kinds; the project eventually extended to twelve folio volumes, published 1731-1766. 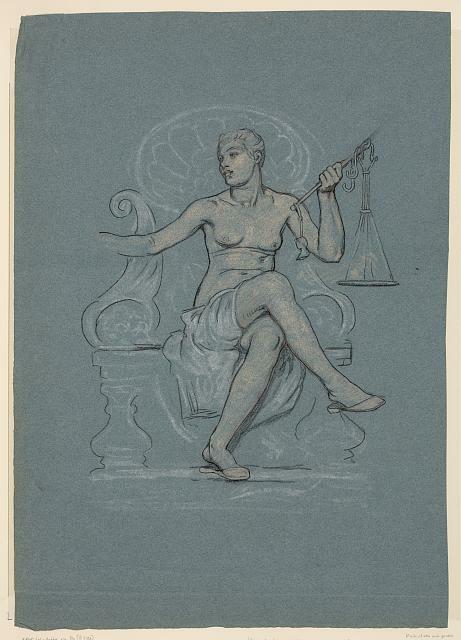 Pictured are front and back views of Dei Praestitis Signumex Aere. 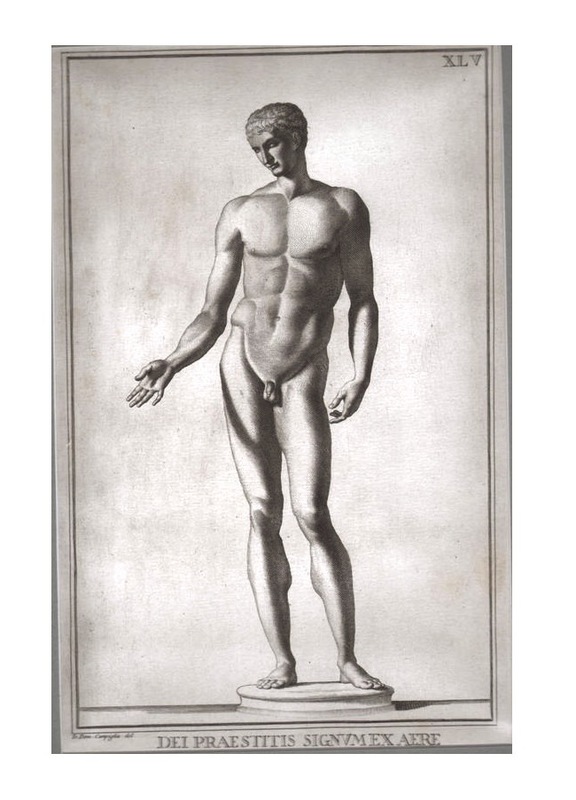 A book titled Callimachus Hymns and Epigrams published in 1755 included three engraved illustrations of statues all of which were copied in reverse from Antonio Francisco Gori’s Museum Florentinum. 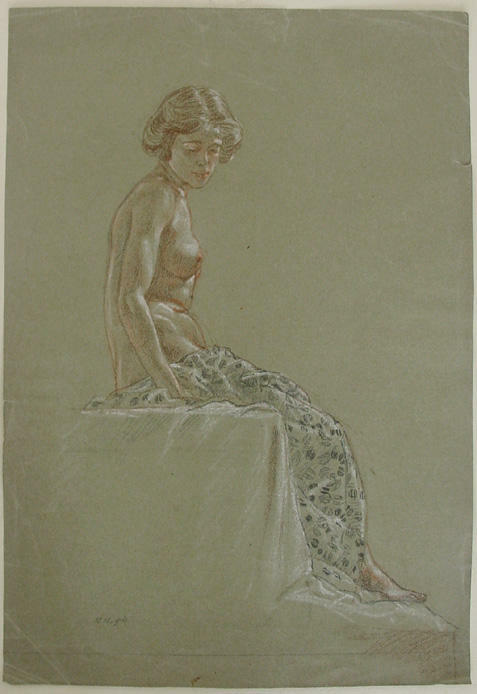 Another page of plates from the book, the George Glazer Gallery. 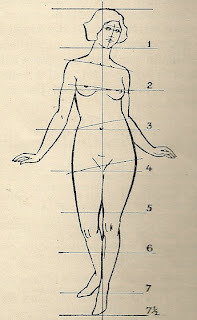 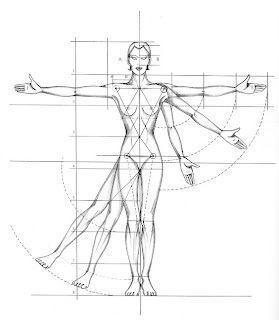 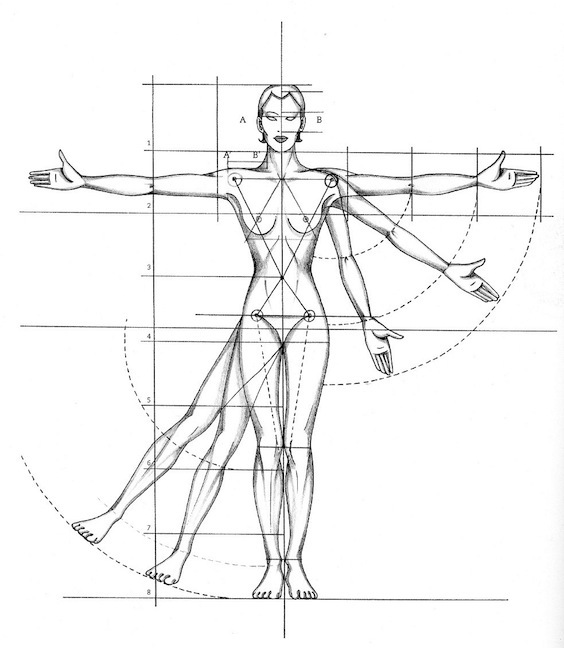 Drawing of proportions of a figure for fashion design from Figure Drawing for Fashion Design by Elisabetta Drudi. 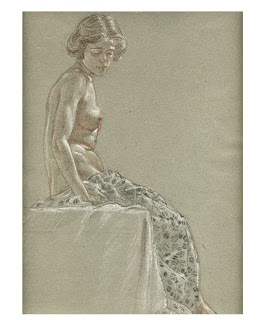 The drawing is available on Ebay. 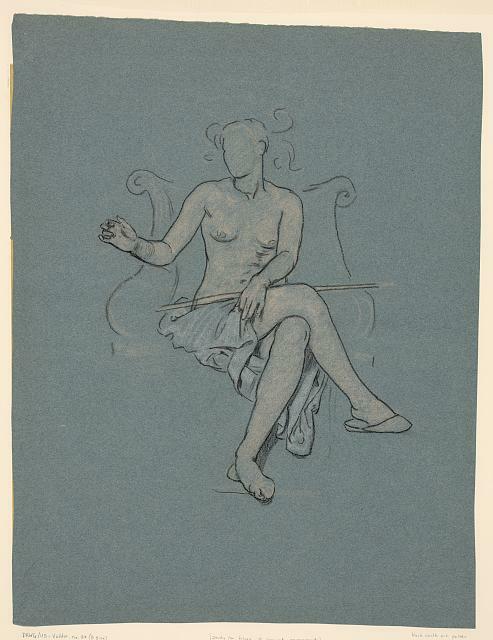 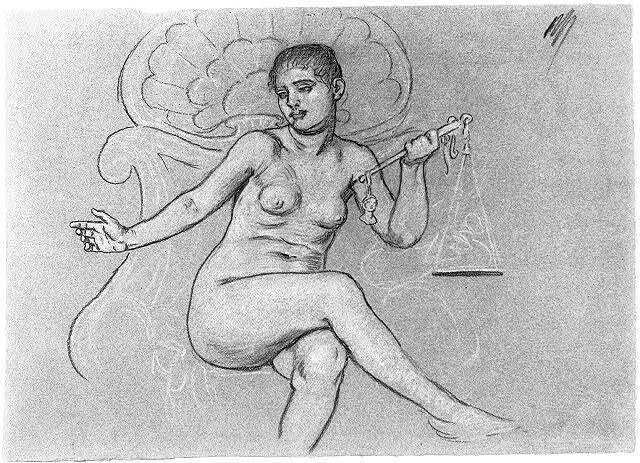 1910 drawing by an Austrian Artist. 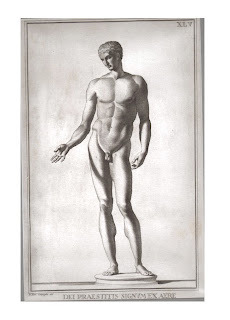 Grundregeln der Proportion des Menschen was comprised of 11 plates published by Joseph Mattersberger in 1805. Wikipedia entry. 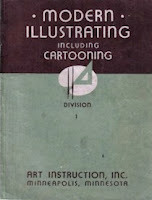 Small thumbnails at Peter Gerlach's site. 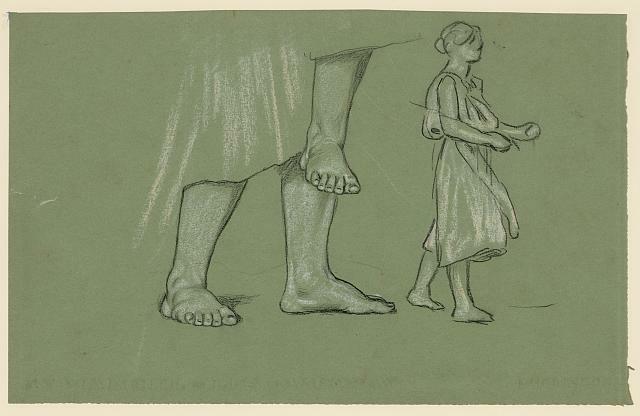 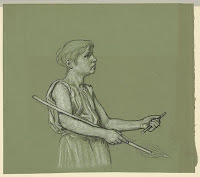 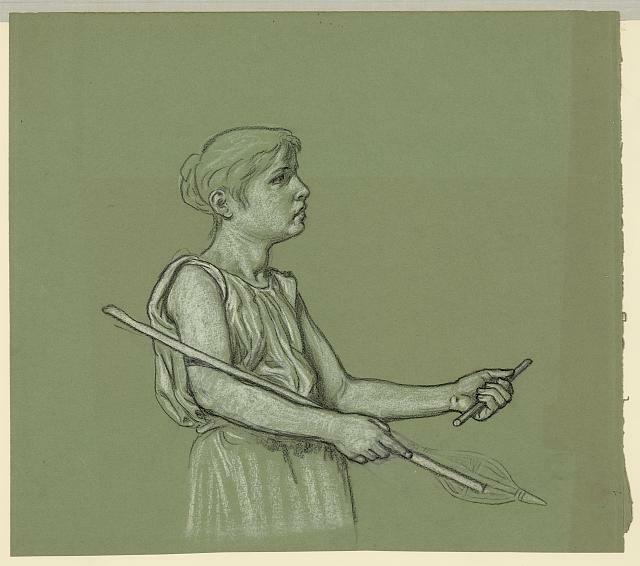 He was a sculptor and published his work on proportions while he was teaching in Breslau. 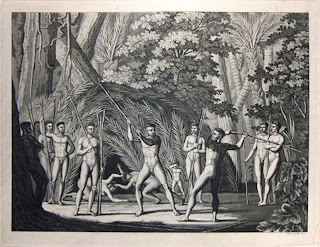 Giullio Ferrario: "Il Costume Antico e Moderno di tutti I Popoli Della Terra " published in Milano between 1816 - 1827. 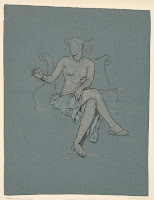 Shown ia an original aquatint by Paolo Fumagalli. 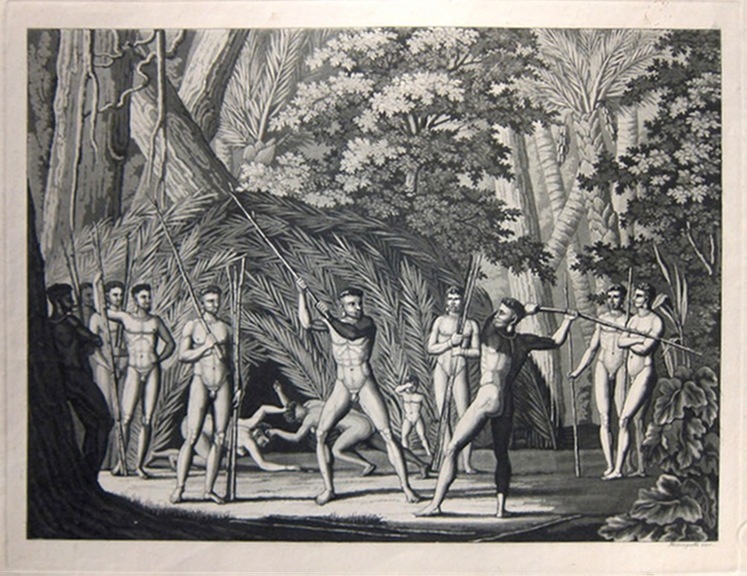 Combat of the Botocudos, South American Indians of Eastern Brazil, also known as Aimorés. The print is available on Ebay.